If you are looking for a unique and inspirational yoga experience then you need to check out Peace Yoga Gallery in Downtown Los Angeles. Peace offers much more than the typical yoga class that you find at a corporate gym. Peace is a sanctuary in an urban jungle where you can not only practice yoga, but enjoy wholesome food, cleanse your soul, and rejuvenate your spirit. The driving force behind Peace is the exuberant Cheri Rae, founder of Peace. To meet Cheri is an experience unto itself. Her energy and spirit are so powerful that it envelopes you the minute you meet Cheri. I recently had the opportunity to drive my friend’s new Tesla Model S with the 60 KWh battery (Tesla also offers an 85 kWh battery). I have to say that I was thoroughly impressed by the vehicle and I am convinced that the Model S represents the future of driving. The entire driving experience is truly a leap forward from what is offered by today’s vehicles. The ride is smooth, quiet and planted. Acceleration is phenomenal with the electric motor generating gobs of torque. 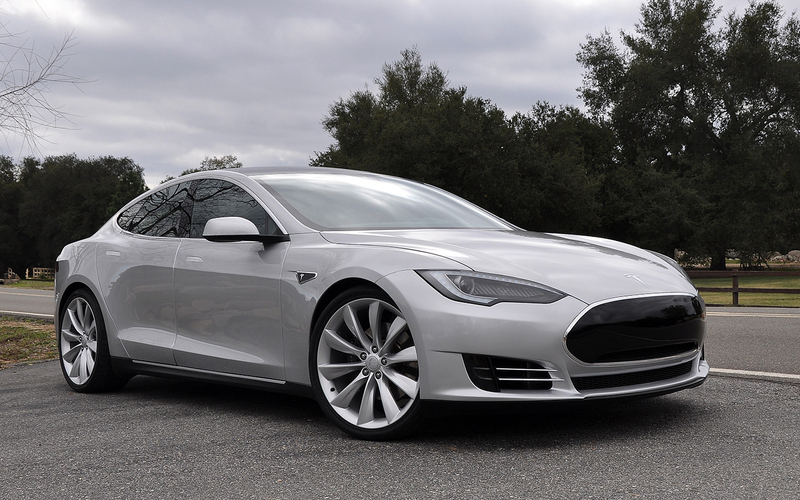 The Model S is virtually maintenance free; no more oil changes, transmission fluid replacements, or radiator flushes. Inside the cockpit, all buttons and knobs have been replaced with an elegant touch screen that spans the entire height of the dash and provides access to Google Maps. And the retractable door handles, while somewhat superfluous, is realllllly trick. Driving a Model S makes you wonder, why didn’t we think of this sooner??? However I do have three bones to pick. In my opinion, if Tesla can address these three issues then it can truly begin its march towards becoming a main stream vehicle (as opposed to the niche position it currently holds). 1) The driver’s seat isn’t as comfortable as other comparable luxury vehicles. When you first enter the Model S and you take a seat, you immediately notice that the driver’s seat is smaller than those of comparable vehicles in this class. Whereas the driver seats in a BMW, Mercedes, or Lexus, have a throne-like feel, the size of the Model S is somewhat low-rent, more in line with an economy car. Clearly, the seat design was dictated by an effort to save weight. In a vehicle like the Model S, the quest for weight savings is akin to optimizing a high performance road bike, every ounce matters. The smaller seat undeniably saves weight but unfortunately I think it also sacrificed too much comfort. For Tesla to win over buyers who are cross-shopping with other luxury brands, the small seat will be a deal breaker in my opinion, especially for those with larger frames. 2) The interior lacks functional storage space. Just like the seat size was sacrificed in the name of weight savings, interior storage was cut from the list of features. I can appreciate a clean minimalist look but I really need a center console to store items such as a cel phone, wallet, papers, etc. 3) The on-board computer needs to have a 4G connection. One of the greatest features of the Tesla S, the large touch screen with built in Google Maps and a web browser, also becomes a huge annoyance. Tesla has eschewed traditional on-board navigation for cloud based turn by turn navigation from Google Maps. I think this is a brilliant idea. Unfortunately, waiting for the maps to load on a 3G connection can be agonizing. The faster download speeds offered by 4G will make the response times of using Google Maps for navigation and surfing the web a much more pleasant experience. So, in conclusion, if Tesla can address these three items then I will be the first in line at the dealership.